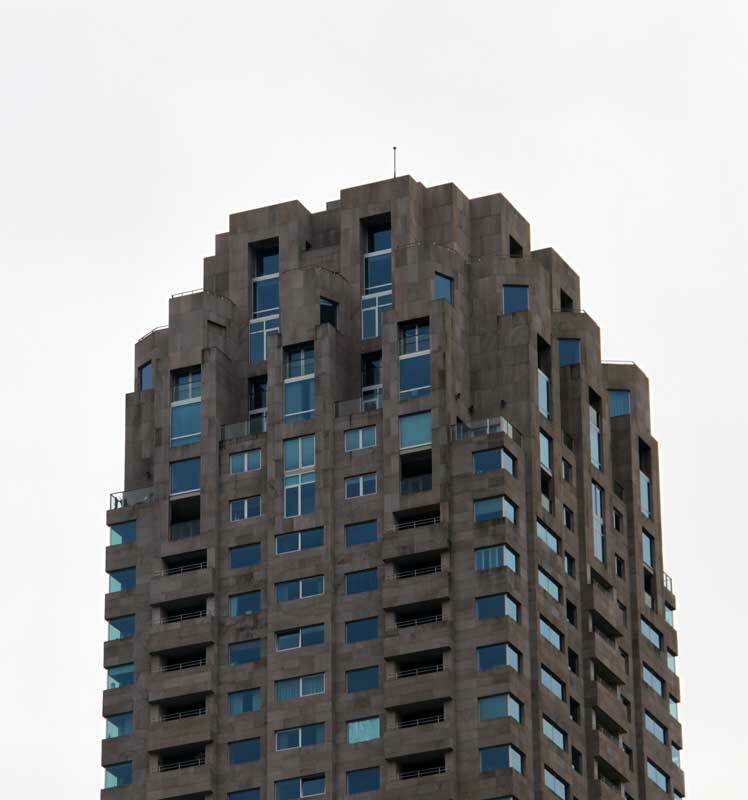 Designed by the Portuguese architect and Pritzker-prize winner, this skyscraper has 43 storeys and is 519 feet tall (158 meters). 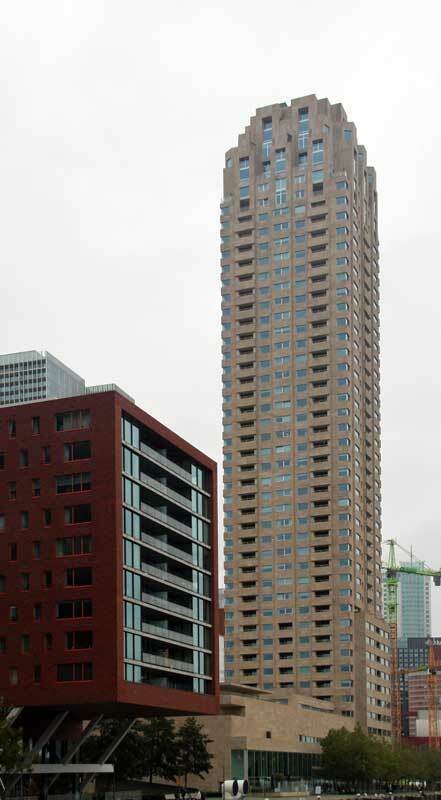 Presently it is the tallest residential tower in the Netherlands. 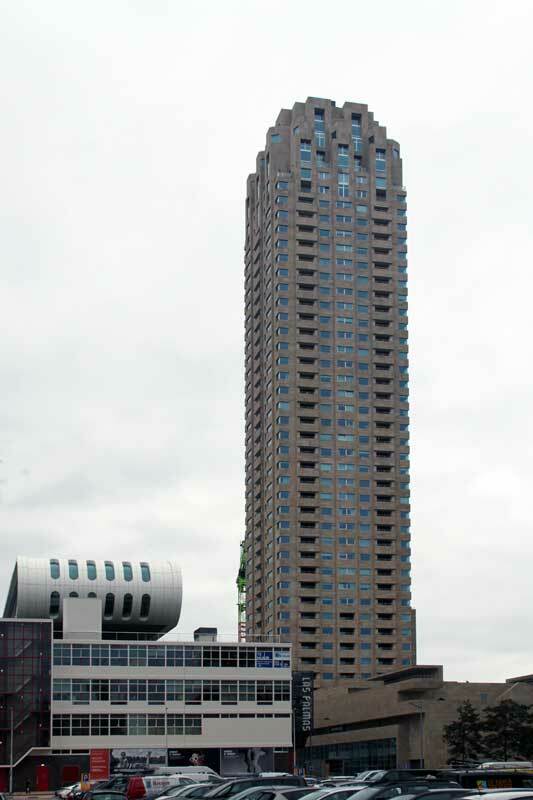 Located on Wilhelmina Pier, it is just one of many towers in Kop van Zuid. 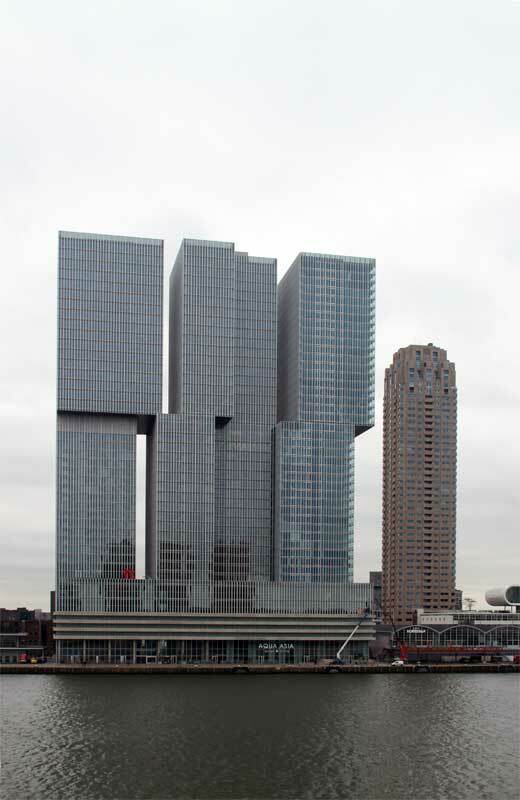 Here, essentially in front and to the left of it, we see the Koolhaas/OMA skyscraper, De Rotterdam. It is slightly lower than New Orleans. 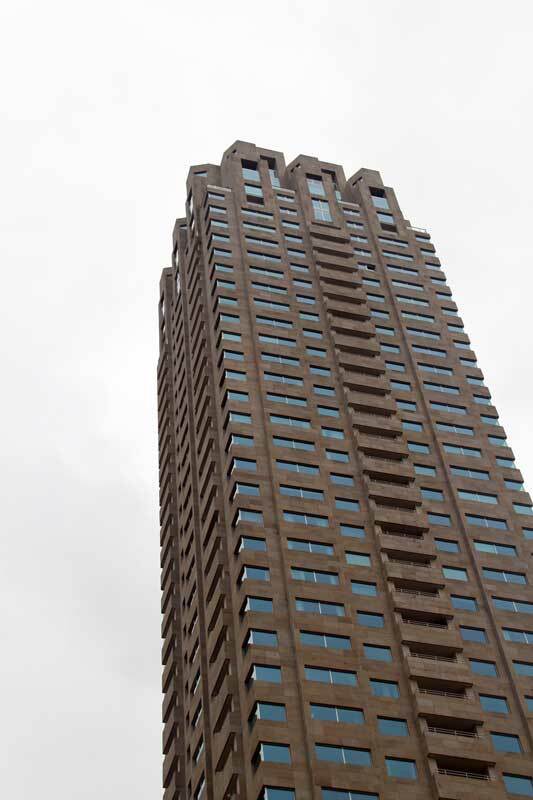 Rotterdam has many buildings with international names--not only New Orleans, but the Hotel New York (the former Holland-Amerika Building), Montevideo, the Luxor Theater, and the hotel downtown where I stayed, the Manhattan Hotel. These names underline the cosmopolitan nature of this modern and vital city. Its name also refers to a warehouse by that name which once stood in this location. This residential tower has 234 apartments, four per floor, until the top where there are only one or two apartments per floor. 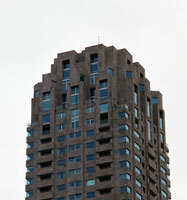 All have balconies. 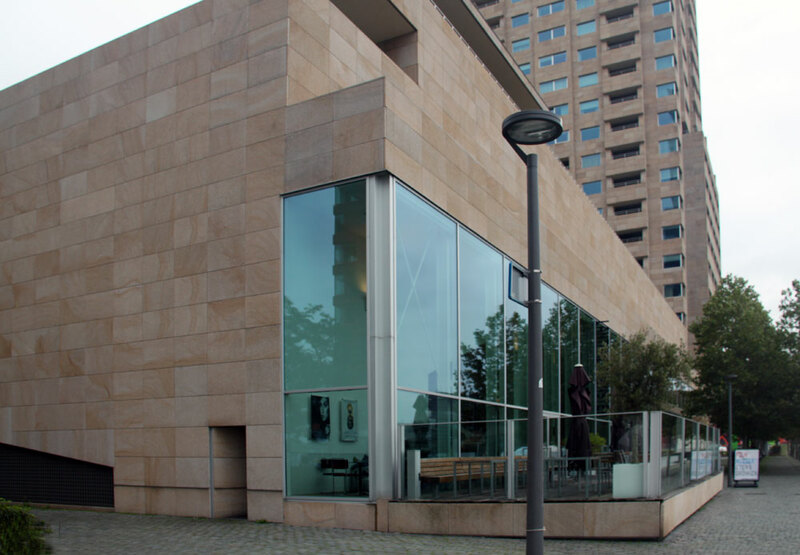 Clad in marble, the building has a simple elegance.